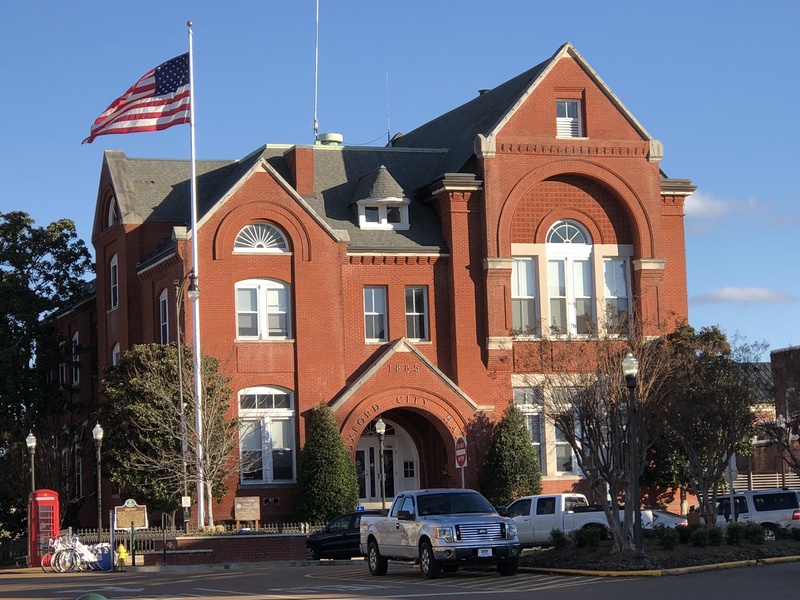 Visitors entering Oxford, Mississippi’s historic Square will come nose-to-nose with its famed Courthouse. The stately white building stands in the heart of town, creating a scene that looks like it came right out of one of John Grisham’s legal thrillers. The well-known author is actually one of many writers who lived in Oxford, a town with an impressive literary heritage and more published writers per capita than most big-time American cities. As a state, Mississippi boasts such distinguished wordsmiths as Richard Ford, Willie Morris, Eudora Welty, Donna Tartt, Jesmyn Ward, Larry Brown and Curtis Wilkie. Perhaps the most acclaimed, however, is William Faulkner. 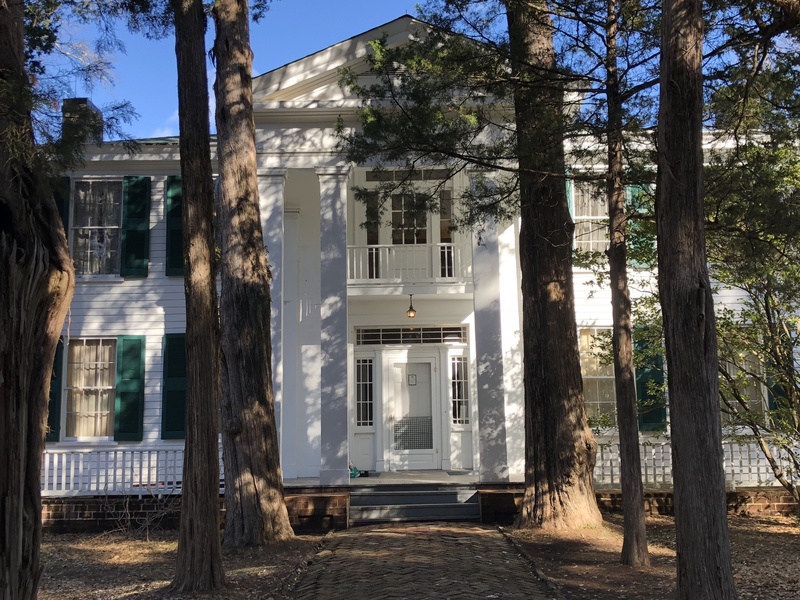 Regarded as one of the greatest writers in the twentieth century, Faulkner made Oxford his home after briefly attending the University of Mississippi, and lived in his antebellum-style house, Rowan Oak, from 1930 until his death in 1962. The Nobel Prize Laureate, who is best known for such novels as, “The Sound and the Fury,” and “As I Lay Dying,” made his mark on the literary scene for his masterful characterization and rich language. He was a skilled storyteller and moved many a reader by his deep probing of the mysteries of human life. While living in Oxford, Faulkner discovered that his “own little postage stamp of native soil was worth writing about.” He created fictional versions of Oxford and Lafayette County, calling them Jefferson and Yoknapatawpha County, respectively. These locations were used in several of his books, along with a slew of colorful characters, some modeled after actual Oxford residents. Literary aficionados can visit Rowan Oak to get a glimpse into this special haven that brought Faulkner so much inspiration. Originally known as “The Bailey Place,” the author renamed his estate Rowan Oak after the Rowan tree, a symbol of security and peace. During your self-guided tour, you’ll see the Library, which is decorated with paintings by the writer’s mother, Maud Butler Falkner, an accomplished painter. As an aside, William added the “u” to his name in 1918 for a nom de plume. The bookshelves, built by Faulkner, have locking compartments on the bottom to store his shotgun shells. This was the room the author wrote in until he built his own writing room at the rear of the house. Nearby is the Parlor, the site of many special occasions for the family, and the Dining Room, which leads to a porch and a patio, also a favorite writing spot. Take a peek in the kitchen and pantry. The latter has numerous phone numbers written on the wall near the telephone – Faulkner’s convenient, low-tech directory! The most interesting room on the first floor is the Office/Writing Room, where the plot outline of “A Fable” is written on the wall in Faulkner’s hand. He used graphite pencil and a red grease pencil to set down this working plan of the novel, which is about Holy Week set during WWI. Upstairs, you’ll find Estelle’s Bedroom, which was Faulkner’s wife’s private space for painting and bird-watching. 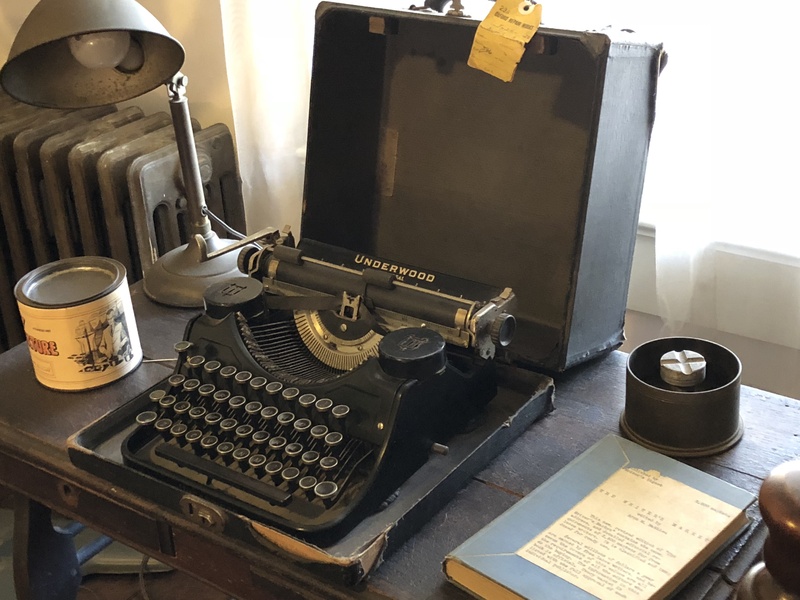 In Faulkner’s own bedroom, you’ll note a bedside bookshelf with a collection of tomes ranging from biographies to mystery novels, reflecting the author’s varied reading interests. He also enjoyed photography, evidenced by the cameras on the mantel. And his riding boots and field boots remain as testaments of his love for the outdoors. Other rooms are dedicated to his daughter Jill and an assortment of other children in the extended family, who came for visits. 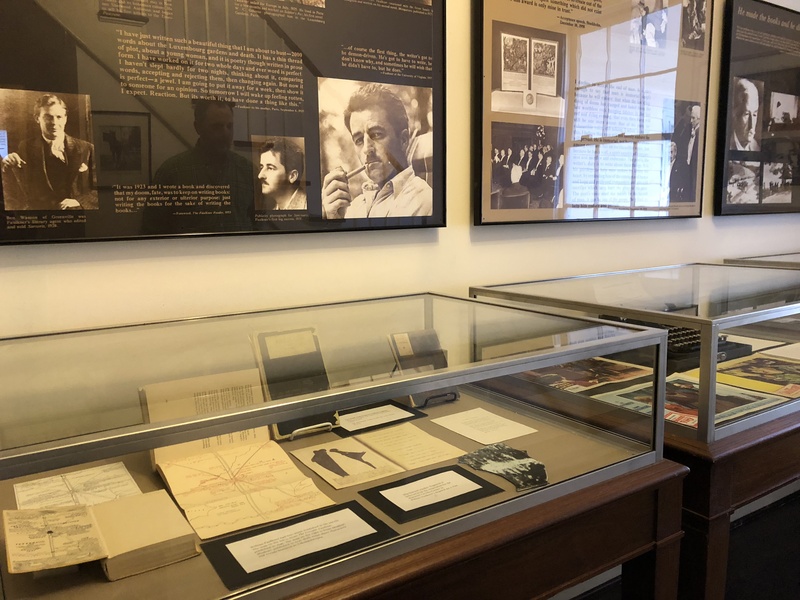 Of additional interest is the glass case in the hallway with assorted Faulkner memorabilia, such as writing instruments, a pipe, bottle of Jack Daniel’s, photos and remnants from the author’s Hollywood days as a movie writer. The grounds contain several outbuildings, including a barn, stable, servants’ quarters and smokehouse. The landscape is lush with gardens, arbors and a cedar walkway. The trees lining the path were planted after the yellow fever epidemic that swept the South. It was believed that cedars “cleansed” the air. 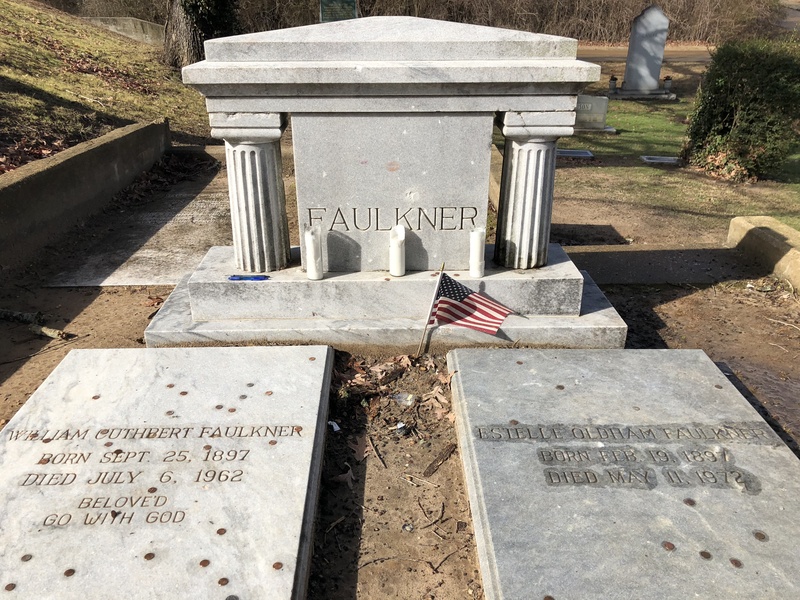 Faulkner fans will also want to stop by St. Peter’s Cemetery, where the graves of William and Estelle are located, along with the family plot. Visitors occasionally bring small bottles of bourbon to pour near Faulkner’s grave, as the author was known to favor his libations. Contrary to public opinion, he never drank and wrote, explaining that the only thing he could do when he was drinking was to be a drunk. You’ll see empty bottles and often several pens and pencils, as well as pennies (perhaps as a nod to the adage, “a penny for your thoughts”) lying atop his gravestone. 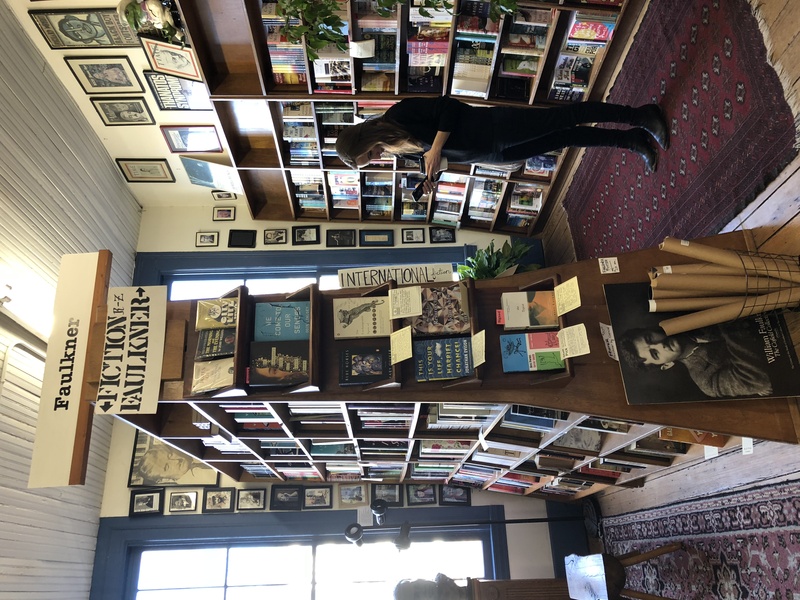 If you’re inspired to read one of Faulkner’s novels after your visit to Rowan Oak and St. Peter’s Cemetery, head to Square Books, the iconic and beloved independent bookstore in town. An entire area is devoted to the author and his works. Another section of the store specifically focuses on other Oxford and Mississippi literary greats, of which there are many. The prolific number reflects a rich tradition of storytelling that is deeply valued in this region. If you have questions, need recommendations or are interested in signed copies of books, the shop’s friendly and knowledgeable staff are happy to assist. While you browse, grab a cup of java at the café upstairs and take it out on the porch for a nice view of the Square. When you’re ready to move from this comfy spot, make your way to the Oxford Visitor Center and pick up a Walking Tours guide to use as your companion as you stroll around the charming historic district. You’ll discover trendy restaurants and cafes, along with unique boutiques and galleries that make their home in this vibrant downtown. Note the impressive number of buildings listed on the National Register of Historic Places. The Square itself is a National Historic Landmark, with the Oxford Courthouse as its anchor. This Italianate masterpiece replaces the 1840 structure, which was destroyed along with all but one of the buildings around the Square by Union troops in 1864. A variety of architectural styles are present in town, including Greek Revival, Victorian Gothic, Italianate, Gothic Revival, Romanesque Revival and others. Make sure to check out City Hall, formerly the Federal Building and Post Office. Originally constructed in 1885 in the Romanesque Revival style, it is a handsome red brick structure with intricate detail and decorative work. 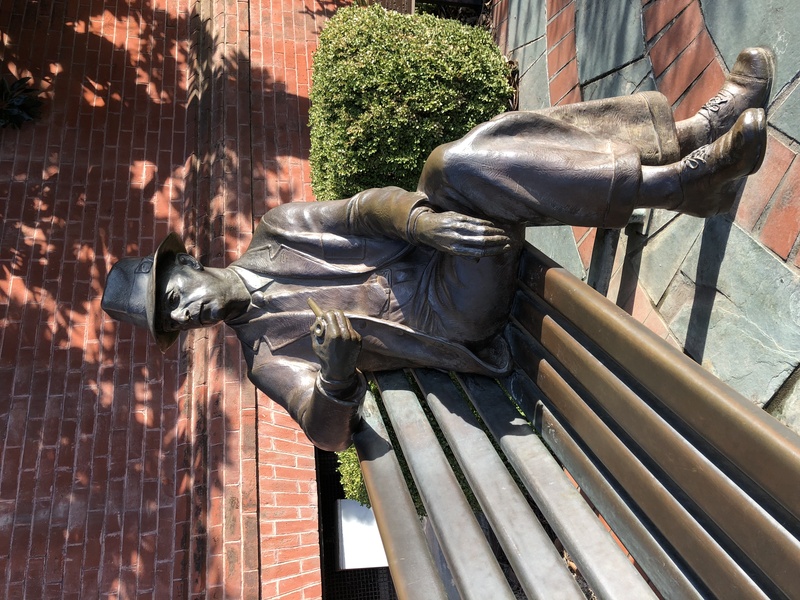 A bronze statue of Faulkner sitting on a park bench outside the building is a popular attraction for literary enthusiasts. 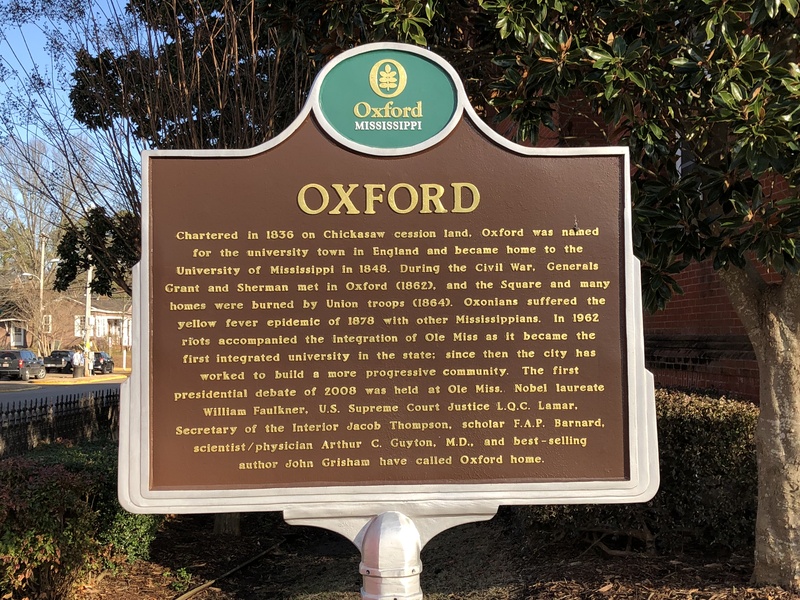 Nearby, a sign explains a bit of the town’s history, noting that it was named after the British university city of Oxford in hopes of having the state university located there, which it did successfully attract. A red, London-style telephone booth stands at the corner to complete the picture. And to top it off, the city even bought several red double-Decker buses, which are used as transportation for special events and private occasions. J.E. Neilson Co., another historical building, is the oldest continuing department store in the South, and traces its origins to a log cabin trading post north of the present Square. Its Colonial Revival exterior has remained unchanged since 1897. St. Peter’s Episcopal Church is the oldest religious structure in Oxford with the spire completed in 1893. Stained glass windows behind the altar are original. Nearby is Burns-Belfry, built in 1910 for Burns United Methodist Church, organized by former slaves in 1869. After the congregation sold the building, it was converted to office space and subsequently owned by John Grisham. The author later donated it to the Oxford-Lafayette County Heritage Foundation, which restored it as a museum and multicultural center. Ammadelle House is one of three homes in the city with National Historic Landmark status. An oft-photographed site, this well-preserved Italianate mansion was designed by noted architect Calvert Vaux for resident Thomas Evans Bedgegood Pegues, a trustee of the University of Mississippi. Construction on the house started in 1859, but ceased during the Civil War, then later resumed. The home has a secret room in which Confederate soldiers were hidden during the war. It’s also notable for having closets and a kitchen that isn’t separate from the rest of the house – two unusual features for residences built at that time. The house is privately owned, so you’ll have to do your drooling from the street. History buffs will also find the L.Q.C. Lamar House Museum of interest. 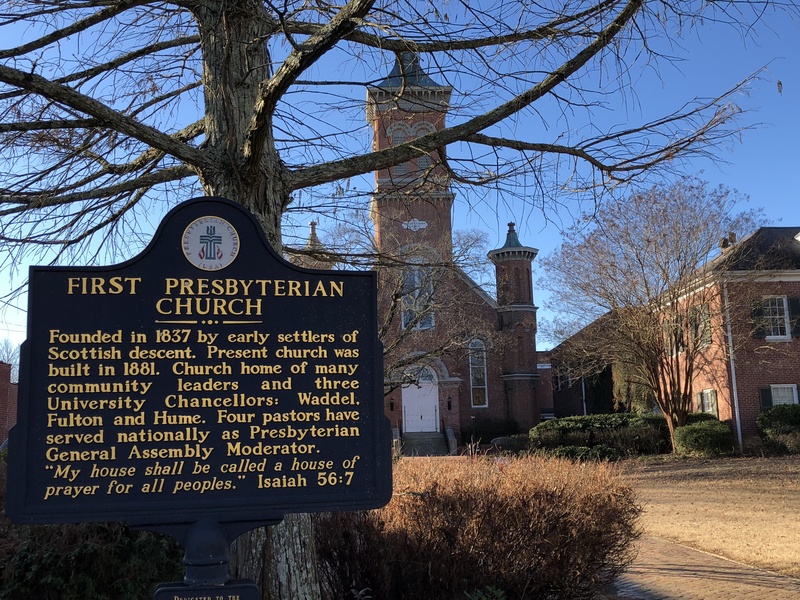 It’s a National Historic Landmark dedicated to the story of Mississippi’s most noted 19th century statesman, who served in both houses of Congress, as Secretary of the Interior and as Supreme Court Justice. Lamar was a pre-war Congressman turned secessionist, who became a post-war Congressman determined to reconcile North and South. Professionally-designed exhibits in the museum present Lamar’s life within the context of the entire Civil War era. A special section is devoted to JKF’s 1957 Pulitzer Prize-winning book, “Profiles in Courage,” which featured Lamar as one of eight prominent politicians who defied the opinions of their party and constituents to do what they felt was right in the face of extreme opposition. 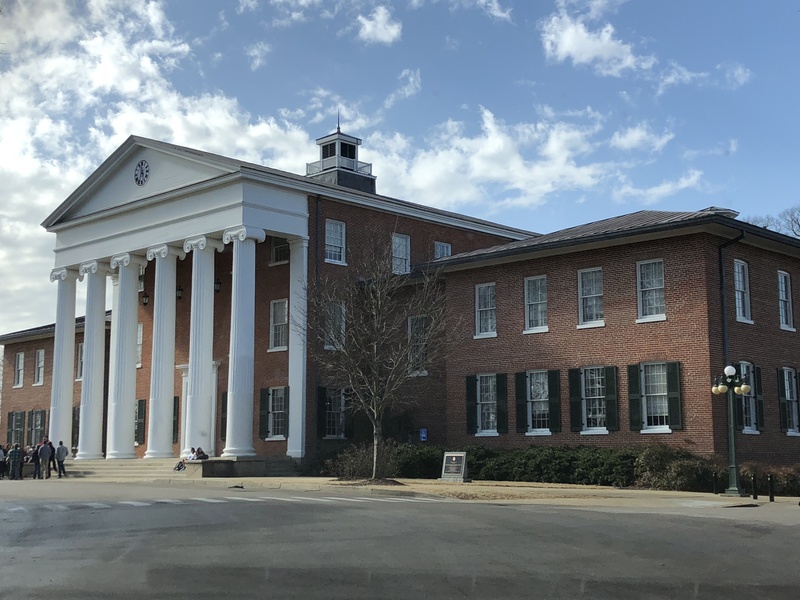 A visit to Oxford is not complete without a tour of the University of Mississippi, commonly known as “Ole Miss.” When it chartered the university in 1844, the state legislature laid the foundation for public education in Mississippi. Four years later, the school opened its doors to eighty students. Today, the number is over 21,000. Walk the grounds of this picture-pretty historical institution, which is dotted with numerous grand, old buildings. The Lyceum, for example, dates back to 1848 and was the only survivor of the institution’s five original structures. With its handsome Ionic Greek Revival style architecture, it has become an Ole Miss trademark. 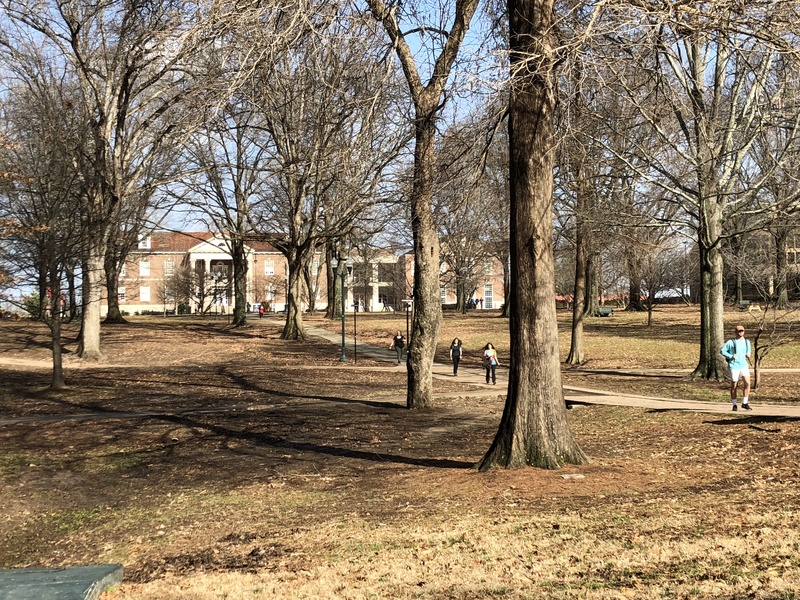 Check out the Grove, the University’s eleven-acre tailgate area where throngs of fans amass for every home football game to cheer the heirs to Archie Manning’s quarterback throne. There’s even a street on campus that bares the Manning name. Set aside time to explore the University Museum, home to several impressive, permanent collections including the Robinson collection of Greek and Roman antiquities; the Millington- Barnard Collection of 19th century scientific instruments; the Seymour Lawrence collection of American Art with works by 20th century masters such as Georgia O’Keeffe, Man Ray, Marsden Hartley and Arthur Dove; and an extensive collection of the work of Theora Hamblett, a well-known folk artist from Oxford. 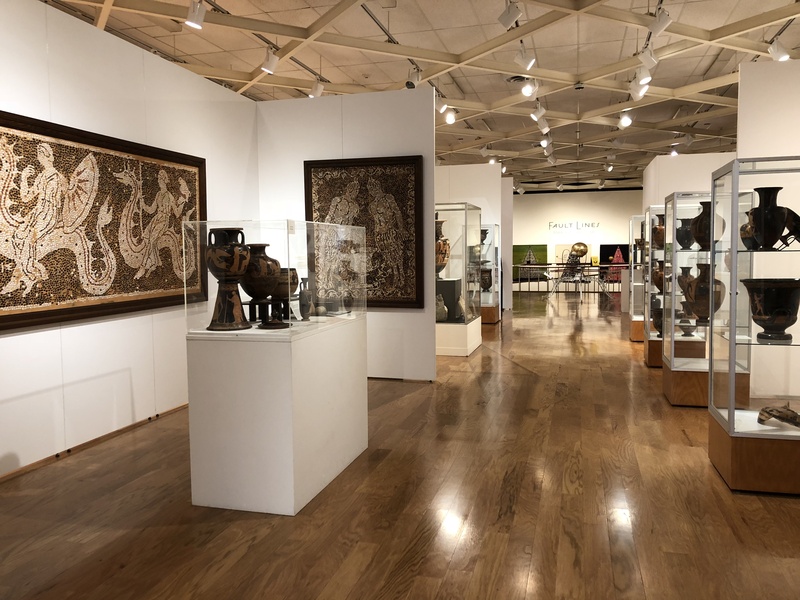 Art thrives in Oxford to the extent that the town is often referred to as “the cultural mecca of the South.” The creative spirit is embraced in galleries, studios and at special events and festivals. On the fourth Tuesday of each month, for example, there’s an Art Crawl, where the public is invited for a tour of Oxford’s art spaces from the traditional to one night only pop-up shows. Double decker buses take participants to the various stops along the route, which include such venues as the University Museum, Southside Gallery on the Square, the Powerhouse Community Arts Center and Gallery 130 in the University of Mississippi’s Department of Art. Exhibits change every month to keep things interesting. Another special event is Pop Up Oxford. Held in late January, Pop up Oxford is a weeklong, Chautauqua-style series of events and programs celebrating the town’s rich literary, musical, artistic and cultural heritage. There are theater and dance performances, artist lectures and exhibits, a songwriters’ concert and author signings. Attendees can also participate in a Hotel Hop, where they can check out a number of different accommodations in town, while enjoying appetizers and drinks. 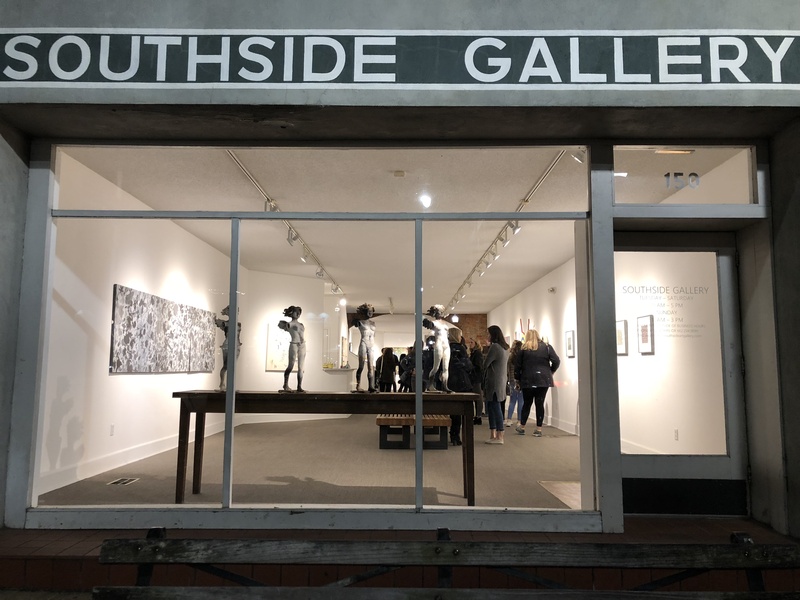 Just a few short miles from the Square is the Oxford Treehouse Gallery, a unique art space that you won’t want to miss. As you drive up the wooded road, you’ll immediately experience a sense of peace at the bucolic scene. 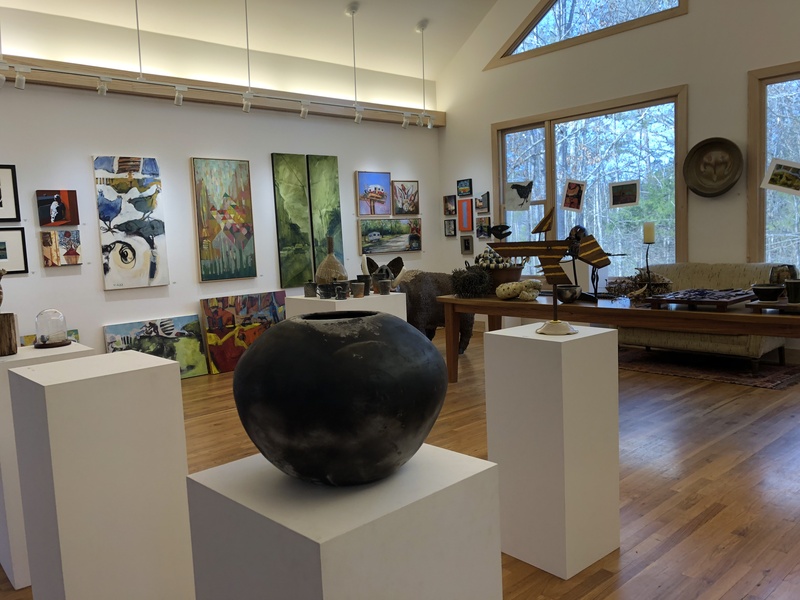 The gallery is actually a spacious, airy house with two rooms devoted to works by twenty plus regional artists representing an array of different mediums. Owners Walter and Vivian Neill opened the place a few years ago to share it with other artists, while providing the public with a fine art experience in an unconventional gallery setting. Wander the grounds and take a peek in Walter’s blacksmith and wood shop, check out the B&B apartment for rent, or simply sit on the gallery’s screened porch nestled among the trees. Chickens roam freely, along with the occasional cats and dogs. You might get so comfortable, you won’t want to leave! If you like to enjoy art while getting some activity at the same time, take a walk along the Yokna Sculpture Trail, a rotating exhibit of eighteen large-scale sculptures by locally, regionally and nationally renowned exhibiting artists. You’ll find these pieces in the garden at the Powerhouse Community Arts Center, at Rebel Sculpture Park on the campus of Ole Miss and at Lamar Park, an outdoor arboretum. When your stomach starts to make noise, grab sustenance at any one of the town’s appetite-enticing cafes and restaurants. Finding good food in Oxford is not a problem, as the city has a reputation for innovative chefs and an eclectic culinary scene. 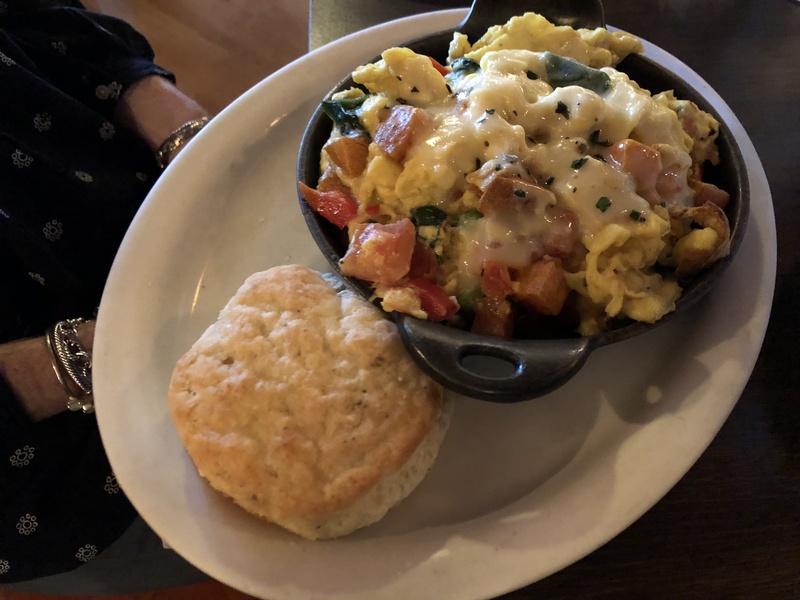 Start your day at Big Bad Breakfast with a skillet scramble, melt-in-your-mouth biscuits and an order of house-cured Tabasco brown sugar bacon. Make sure to get the bruléed grapefruit, too. Or if you want the best baked goods and pastries in town, head to Bottletree Bakery, where you can indulge in delectable scones, croissants, brioche and more. For lunch, tempt your taste buds at Saint Leo, a 2017 James Beard Foundation “Best New Restaurant” semifinalist, which specializes in wood-fired Italian cooking. Try the kale and sweet potato pizza or spaghetti with gulf shrimp. Another spot for great pizza is Proud Larry’s, which also serves up hearty pub grub along with weekly live music. Notable musicians like Elvis Costello, John Mayer, Warren Zevon and others have graced the stage here in the past. Dinner at either Snack Bar or City Grocery is a real treat. Owner John Currence is a James Beard Award-winning chef/restaurateur whose Oxford establishments also include Big Bad Breakfast and Bourè. At Snack Bar, where the food is a marriage of French Bistro and North Mississippi Café, feast on such dishes as Collard Green Wrapped Catfish, Royal Red Shrimp Mac & Cheese and Grouper with Smoked Pecan Purée. Ask if the Black-Eyed Pea Grits are available – they’re swoon worthy! Save room for dessert, where you’ll have to decide between the Griddled Cornbread Cake with Pink Peppercorn Ice Cream or the Nutella Mousse…or maybe the Butternut Squash Tart… City Grocery, Currence’s flagship restaurant is a landmark in the Oxford dining scene, known for serving some of the most inventive and interesting food in the South. Start with the Acorn Squash Soup or the Stuffed Collards; then try the Bourbon Braised Short Ribs, Grilled Trout or Adobo Chicken. You’ll waddle away, especially after finishing your meal with the Cheddar Cheesecake or Chocolate Cobbler. Old school Southern hospitality is alive and well in Oxford, whether you’re dining, shopping, touring or staying at one of the hotels in town. Options for accommodations range from cozy B&Bs and inns to boutique properties and chain establishments. On the luxury end, there’s the Chancellor’s House, an elegant hotel where guests feel like they’re on some majestic Southern estate instead of in a college town hotel. A favorite for Ole Miss fans and alumni is the Inn at Ole Miss. Conveniently located on campus, it’s an ideal spot from which to catch all the action. Alternatively, Graduate Oxford, the place where I stayed, has a fun and festive vibe. The lobby is laid in pink oak and there’s a variety of colorful artwork on the walls, along with seersucker drapery and sofas. Guest rooms are outfitted with plaid throws, polka-dot carpeting and silhouettes of Archie and Olivia Manning, the town’s king and queen of Ole Miss. The rooftop bar, The Coop, is a popular spot for locals and visitors alike, who mix easily in this friendly and welcoming milieu.